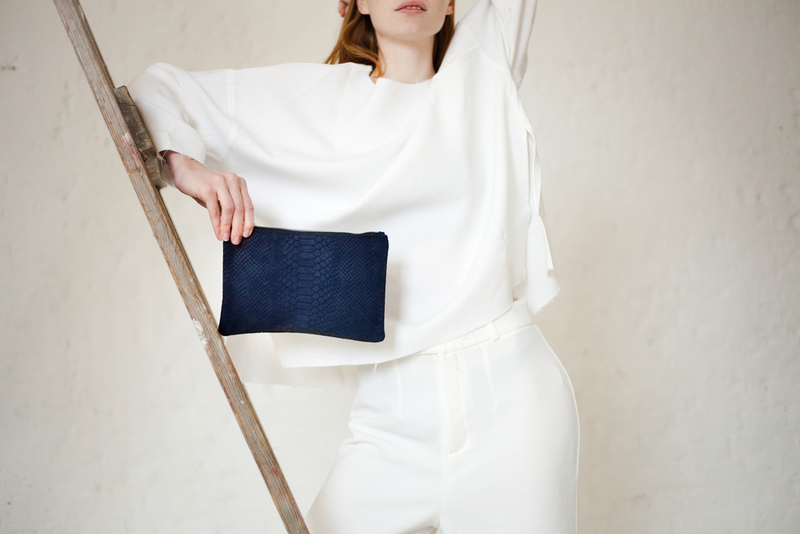 Continuing to reflect art within fashion, the Brand's signature printed pouches see a more graphic print, whilst the rest of the collection remains true to their timeless aesthetic with navy tones. Monochrome 'Drip' and 'Drop' prints were created by dripping the blackest Indian ink over handmade paper. Proudly printed in London, they are the new classics. 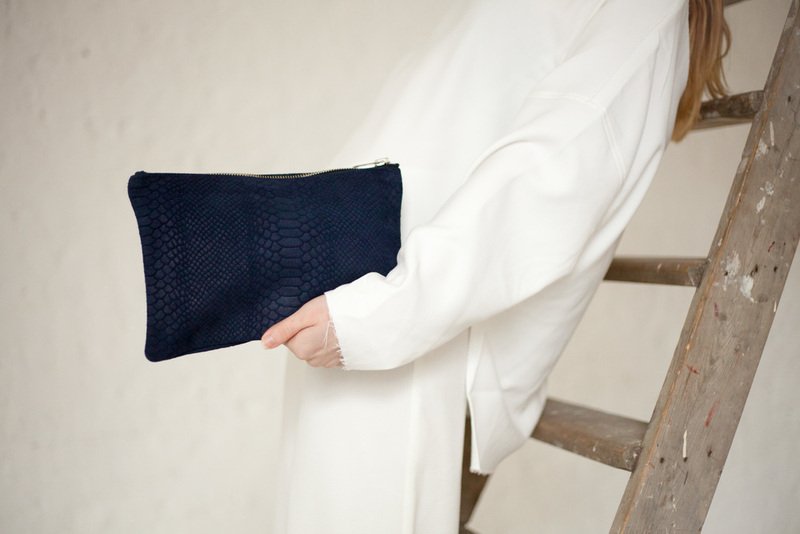 Snake embossed suede repeats itself in the deepest Midnight blue, and super-soft, foldable suede is introduced in the perfect Prussian shade.